Glasgow boasts a wealth of Far Eastern restaurants, with new Pan Asian and Malaysian eateries appearing this year. The street food culture is especially thriving, with an incredible variety of dishes coming out of often pint-sized kitchens, offering adventurous foodies a chance to taste fresh and inventive Asian cuisine all over the city. Newcomer bringing a taste of Seoul to the city centre with classic dishes as well as quirky cocktails in an informal diner. Bustling 20-seater Shawlands diner, kitted out in warm, earthenware tones, doing excellent casual Malaysian food. This tiny restaurant off Byres Road brings a unique and seductive take on Korean flavours and dishes to the Glasgow street food scene. Top-quality Vietnamese cuisine prepared with great care and attention in a contemporary diner at Charing Cross. Check out our separate Indian, Japanese and Chinese restaurant hitlists for Glasgow. 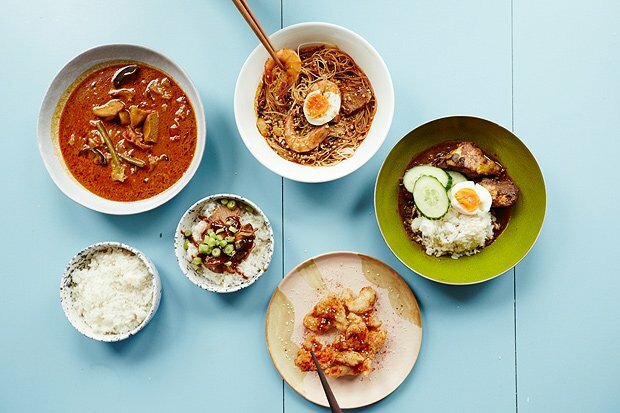 Bustling 20-seater diner doing casual Malaysian food, kitted out in warm, earthenware tones. An ever-buzzing Korean diner with classic dishes and top-notch cocktails.